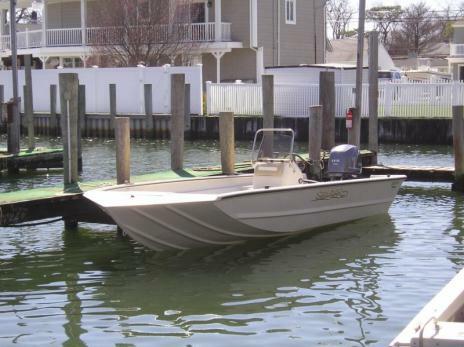 This 2014 Parker Marine 2501 Center Console fishing boat has been well maintained. 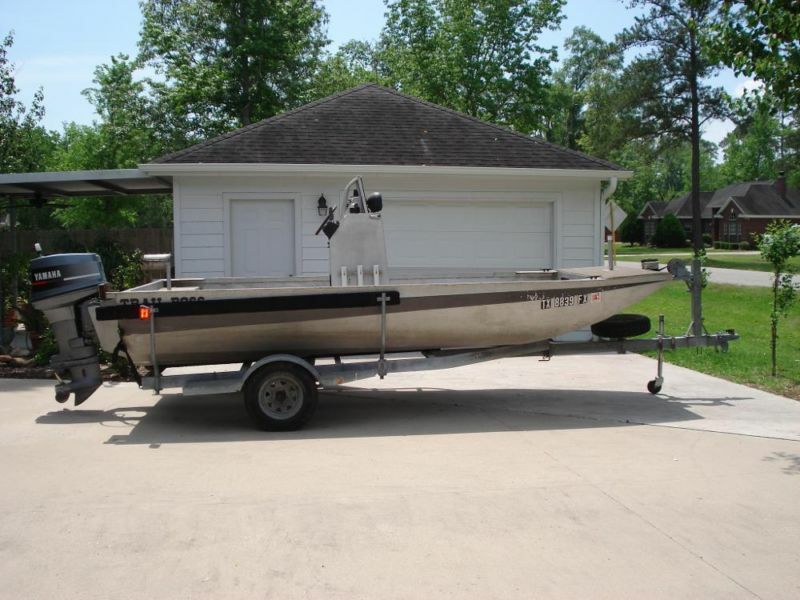 Seller says that the twin Yamaha F -150 4-stroke 150 HP outboard engines run great. All systems are in running order. No issues with hull and gel-coat. Upholstery shows some stains, but no rips or tears. Hook-up the 2015 Continental aluminum tandem axle trailer and take her to all your favorite fishing spots. Turn-Key! Ready to go! Stock #172651 Serious Fishing Machine! Twin Yamaha 150 HP 4-stroke outboards! 2015 Continental aluminum tandem axle trailer included! If you are in the market for a center console, look no further than this 2014 Parker Marine 2501 Center Console, just reduced to $72,800 (offers encouraged). 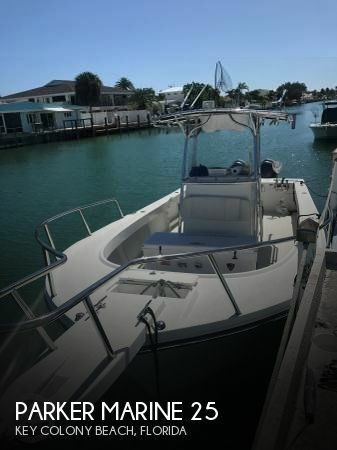 This boat is located in Key Colony Beach, Florida and is in good condition. She is also equipped with twin Yamaha engines that have 600 hours. Reason for selling is buying a bigger boat. 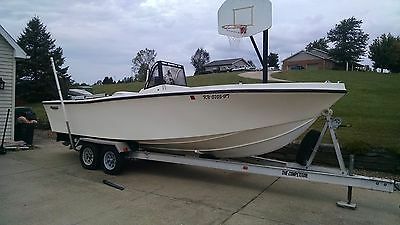 1972 MAKO CENTER CONSOLE THAT HAS BEEN RESTORED.1997 225 MERCURY EFI FUEL AND OIL INJECTED 2- STROKE MOTOR THAT RUNS GREAT (NO ISSUES).NEW 2015 ALUMINUM TRAILER WITH LESS THAN 50 MILESNEW 54 GALLON FUEL TANKCOMPLETE NEW WIRINGNEW LED LIGHTED SWITCHESNEW LED SURROUND ENTERIOR LIGHTINGNEW LOWRANCE ELITE 7 WITH CHART PLOTTER AND SONAR NEW UPHOLSTERYNEW LIVE WELL PUMPNEW T-TOP COVER VHFMOTOR HAS JUST BEEN SERVICED (NEW PLUGS, LOWER UNIT OIL CHANGED, COMPRESSION TEST)HAS A STEREO SYSTEM WITH NEW SPEAKERSPLENTY OF ROD HOLDERS 22 TOTALNEW BOTTOM PAINTTHE BOAT IS ROCK SOLID AND RIDES LIKE A DREAM. CANT BEAT A MAKO RIDE. 2016 Ranger Aluminum RT188 2016 Ranger RT188 Aluminum Mercury 90 Four Stroke Rangertrail Trailer ********Easy to clean, slip resistant top deckSingle console for maximum fishing spaceSecond (port) console can be added!Mercury 90 Four StrokeMinn Kota EDGE 70#Recessed trolling motor pedalLowrance Elite-5 CHIRP flush at the dashPlenty of room at bow & dash for electronics upgradesFront & Center rod and tackle organizerPro bike seat on hydraulic pedestalPort storage compartmentStarboard front deck dry storageTool holders at the bow and cockpitDivided tournament livewellStorage under all console seatsPassenger rod ramp with organizerTwo rear deck storage compartmentsRanger folding fishing seat on a hydraulic pedestalRanger Recreation Series Three Bank 3×6 charger RangerTrail Trailer FeaturesRoad Armor coatingAluminum wheels and spareSwingaway tongueLoad guidesClick here to contact us about this Ranger RT188 Feature after feature, the RT188 Ranger® is built to be an angler’s dream. Not only is it incredibly affordable but, with such strong attention to detail, this ultra-fishable, all-out fishing machine is built to be in a class by itself. Solid, responsive and packed with serious fishing performance, experience the NMMA®-certified RT188. It’s built to fish and perform… all while carrying the right kind of quality, looks and features – at your kind of price. 2014 sea ark center console with f115hp Yamaha outboard & galvanized trailer.livewell & 30 gallon built in gastank. 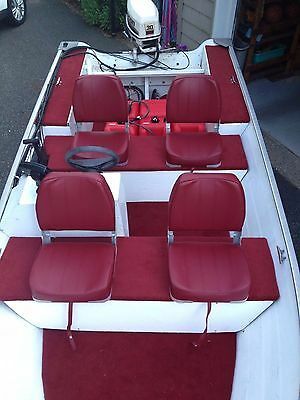 G-3Center Console Aluminum Boat with a Yamaha 90hp very clean, low hours. Ready to fish. If interested please call Max at 361-561-7207. 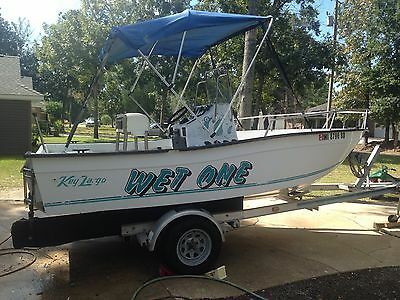 1995 16ft Key Largo center console. Hull and transom are super solid and ready for your motor. Boat comes with good Bimini top, bilge pump, live well pump, bow lights, anchor light, VHF radio, Ritchie compass, leaning post with storage, transom ladder, perko switch, fire extinguisher, anchor, line and bumpers. Storage in the bow and stern with live well under front seat. Aluminum trailer is in good condition and ready to hit the road. Tires and hubs are good. This trailer is ready to go anywhere. Local pickup only Call/text 2283822884 for more info. 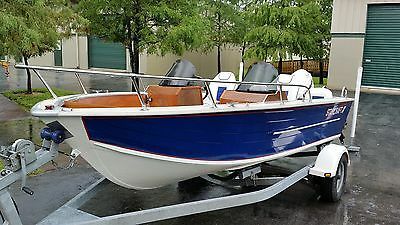 1996 Rockwell Custom Aluminum 19' CC 1996 Custom Rockwell Aluminum Boat with Fantail, 2000 Model Johnson 90HP with 275 hours,Tach, Fuel and Hour Gauge, SST Prop, Jackplate, Center Console with Windshield, Hydraulic Steering, Compass, Minn Kota 80# Troll Motor, with Batteries and Charger, Camo Fishing Seat, Bimini Top, Magic Tilt Trailer, 3 Batteries, and Navigation Lights. 1989 211 Mako. 200HP Yamaha 2 stroke. Runs good, has Lowrance LCX27c GPS/Sonar. Overall in good shape. Has bimini top and a Competitor aluminum trailer with new tires and springs. It needs some work but nothing has to be done to run it. Email me with any questions. This is a new boat with a recycled Aluminum Hull with Dual Riveted construction for proven structural integrity, using the best available materials and functional design for multiple uses and many years of worry free boating. Hull: 1974 Dual Rivet 18 ft Starcraft rated for 8 persons total weight 900lb dressed The hull spent its life as a lake boat in Southern Maine with a total of 480 hours use. The only part of the original boat is the Aluminum Hull which was stripped bare inside and out, cleaned, acid washed and sealed with 3M Marine Urethane on all joints and seams. It was then etch primed and painted with Sherwin Williams 2 part polyurethane paint. Pearl Blue / Windsor White Interior: Floor Material Lloyd's registered 13 ply Marine Grade, covered with 2 layers of woven rovings glass both sides attached with stainless rivets to original Aluminum stringers and joint strips Floor cavity closed cell foam filled, with drainage tube from anchor well to bilge pump the length of the keel .Transom: Two layers Lloyds register 3/4 marine ply saturated in resin , with two layers chopped strand sanwich. All through holes oversize with urethane fill. No wicking of bolts and no rot in the future.Outboard Well: One Piece hand layed glass over 2 x 2 Aluminum frames across transom. Mimimum waste space maximum seal with urethane and fasteners. 2" minimum clearance from motor at full travel in every direction. Self draining through transom sealed with urethane. Interior: Trim Stern to bow Lloyd's registered 9 ply Marine and foam sandwich 6 ply Marine (side pocket panels) . Coated with Marine Grade UV resistant 2 part Polyester Consoles: Marine ply exterior coated with 2 layers woven rovings finished with helmsman satin urethane. Interior coated with heavy chopped strand and woven rovings glass for structural integrity. Steering : Baystar Hydraulic Steering system rated to 150HP fitted with Dino wheel. Controls : Concealed side mount BRP Accessories: Weatherproof power outlets front and rear plus outlets on both consoles. Dual maximum size batteries 1 Deep Cycle 1 High Amp (starting) 3yr 100% replacement. Military spec wiring between Batteries Motor and Switch gear/kill switch. All soldered. Easy Access to all transom with one keyed lock and the three panels removed. 1100 gph Bilge Pump. Tempress High Grade seats, Front slide swivel height, rear swivel height adjust. 8Ft Strapless full shade Bimini, removed via 4 pins. Removable Stainless Swim ladder with 2 lower rungs submerged when deployed. 28 gal Moeller in floor plastic fuel tank with easy access to sender & pickups Power: Evinrude Etec 2008 115 20” 200hrs New. Fuel Injected, Oil injected. The engine has been inspected top to bottom and has new rings bearings starter stator water pump Oil tank and pump, and although having 100 hours total time , BRP advised that because of the age of the engine they would have to list the unit as 200hrs to supply the new ECM computer. The motor is registered with BRP as having 200 hrs as of now with the computer supplied under warranty. The computer is set for a 10 hr run in with extra oil supplied for that period. This work was done by the BRP dealer including a full inspection. This unit uses around half the fuel of the old V4 and with the 28 gal tank pushing a total weight of 1300 lbs plus fuel and passengers will give a great range without having to worry about fuel too often. Trailer (used) Karavan Fully welded Hot Dip Galvanized frame, New 4” drop braked axle 15” 6 stud wheels with neck mounted spare. Plastic stand on fenders with LED tail lights and LED 5ft guide pole lights. Removable hinged tongue with surge brakes that work. Bearing buddies fitted and fully serviced. Ready to go. Capacity Gross weight 5015 LBS Nett Capacity 4150 LBS This trailer has never seen Salt Water. Any further information call John 727 504 3314Do not bid if you have less than 10 feedback without first contacting me. Your bid will be cancelled. 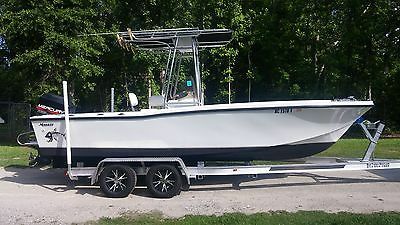 2014 18.5' all weld aluminum center console with 2010 50hp mercury and trailer, boat has only been in the water two times. 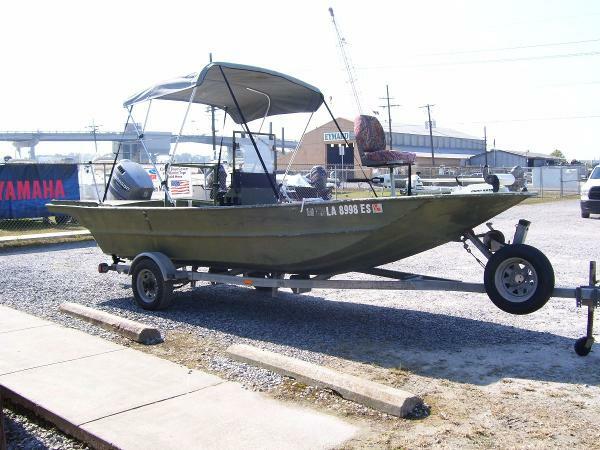 Duck hunter camo with live well trolling motor and raised fishinf seats. This is a great buy !!!! 2014 Custom Aluminum Workboat (Center Console Four Stroke Custom Built Aluminum Work Boat with Center Console/Pilot House. Powered with 150hp Suzuki 4-Stroke. Hull thickness is 1/4" and the rest of the components are 3/16" Dual Battery System Racor Fuel Filter Foam Flotation Winn Safety Glass used in pilot house.